Big Screen Social is a highly visual platform which displays Twitter and Instagram content in a clear and creative format. You can easily set Big Screen Social to display live tweets and Instagram posts which feature a hashtag specified by yourself – you can even programme it to display live content from a specific account if you like! 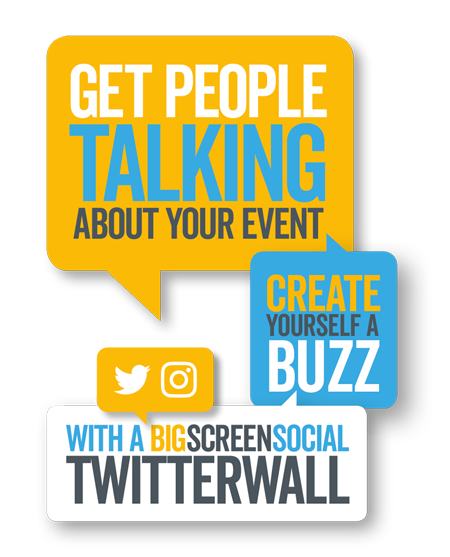 If you're looking to increase brand awareness and encourage more digital engagement with your event or venue, Big Screen Social is for you! After you’ve tailored Big Screen Social to your event (and connected to a large screen or projector) you’re just one click away from displaying your social wall and creating that digital buzz!